The text, the design, the frame, the transportation — there’s a lot to think about when choosing a ketubah! Below we’ve compiled seven of our favorite tips to help you pick out and display one of the most important contracts you’ll ever sign. 1. When deciding which ketubah text is right for you, be sure to talk it over with your rabbi or officiant. He or she may require you to use (or not use) a specific text. 2. If you want your ketubah to be unique, look for a company that can accommodate personalizations. 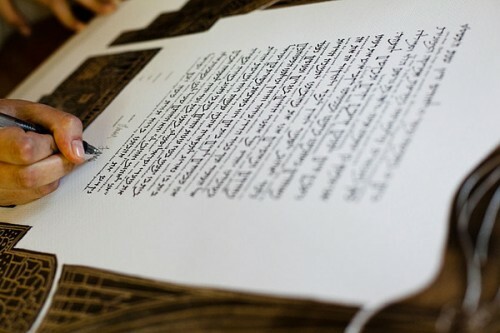 In addition, always ask about the durability of the type of paper and printing process the ketubah artist uses. 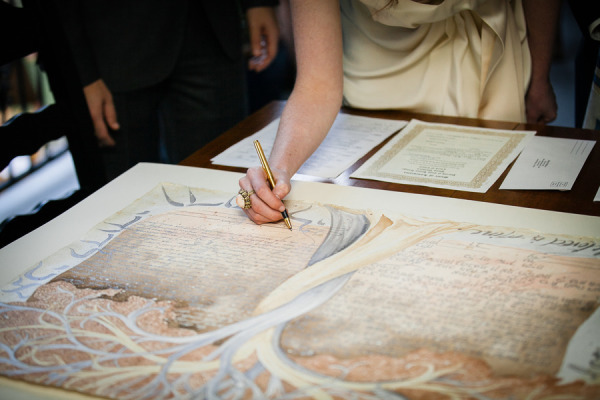 You’ll want your ketubah to last a lifetime! 3. Ask your rabbi or a knowledgeable friend to help you personalize the ketubah text and proof the final draft. 4. 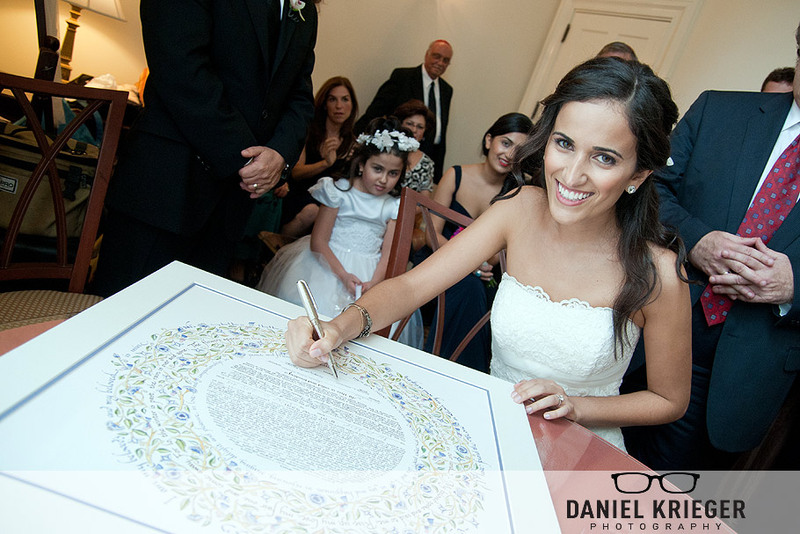 Order your ketubah at least 3 months in advance to allow time for editing, proofing, printing and shipping. Planning ahead can save you money and stress! 5. 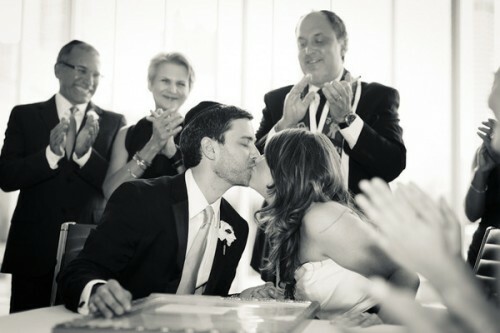 Purchase or borrow an easel to display the ketubah during the wedding ceremony. 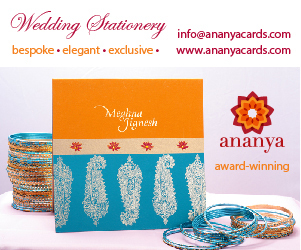 Not only does it allow all of your guests to see it throughout the ceremony, but it also keeps it safe. 6. Get the ketubah matted and framed (without the glass) before the wedding day so it can be easily transported and featured in your ceremony. After the wedding, take it back to the framers to get the glass professionally installed. 7. Use an acid-free, archival quality pen to sign your ketubah. You want that ink to last a lifetime! Did we leave any tips out? Let us know in the comments below! This entry was posted in Jewish Wedding Tips and tagged ketubot, wedding tips. These are some really great tips! I think it’s a good idea to frame with the glass though, it’s pretty easy to pull the ketubah out of the frame for signing, and then when you put it back in right away, it’s 100% protected by the glass.